Pesach Davenings, meals and Farbrengens with a taste of home. A spirited and inspiring atmosphere. We are delighted to welcome you to our Yom Tov Pesach experience. For the last 12 years we had the great honor of welcoming thousands of Jewish locals and visitors of every conceivable background, to our Pesach services and meals. 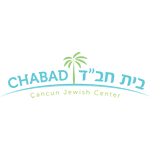 This is not a conventional Pesach program, there are several of them in Cancun if that is what you are seeking. We will be hosting lunches and dinners for the first and last days of Pesach, as well as dinners on the days of Chol Hamoed. These meals come at a great cost to us, to enable us to provide this service, there is a fee associated with the meals which helps subsidize the costs. Advanced reservations are required, enabling us to prepare accordingly for the hundreds of participants. Looking forward to welcoming and celebrating with you.